2017 In A Sentence: After a dismal 1-10 campaign – including a 5 game slide to end the year where they gave up almost fifty points a game – athletic director Brian Wickstrom terminated the contract of head coach Larry Brennan and brought in Texas Tech offensive coordinator Eric Morris to replace him. Biggest Shoes to Fill: RB Derrick Mitchell, a transfer from the University of Iowa, was the Cardinals’ top rusher from last year, notching 601 yards rushing and scoring 6 TDs. 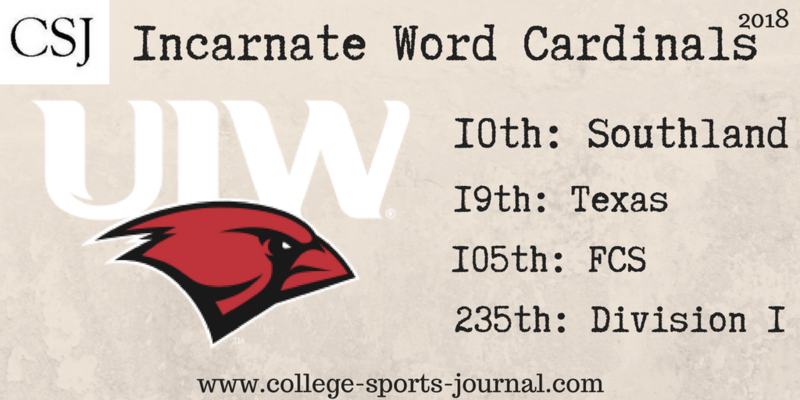 Key Player: Incarnate Word’s season will probably hinge on the development of last year’s starting QB Sean Brophy. 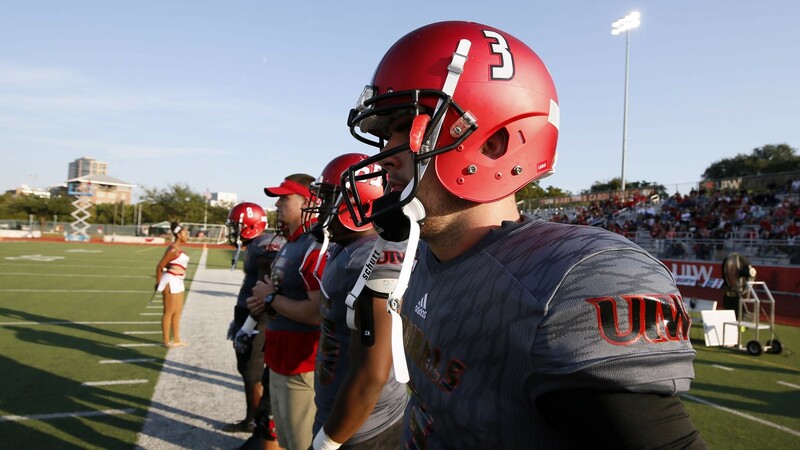 Last season he passed for 1,277 yards and 11 TDs, but will have to cut down on his interceptions (11) and improve his accuracy in order to get the UIW offense to come to life. Fearless Prediction: Morris will have he work cut out for him in his ground-up rebuild of the Cardinals. Down the line undoubtedly his high-octane offense from Texas Tech should invigorate this team, but for 2018 and considering the UIW’s brutal schedule (with out-of-conference games at New Mexico and North Texas), three or four wins would be a terrific year.